Tariffs are Inflationary according to Frank Holmes of of U.S. Global Investors. And those Tariffs now just keep on getting bigger daily as the trade wars continue at a frenzied pace. Where will it all end? The good news in all this is that higher inflation has historically been supportive of the price of gold. 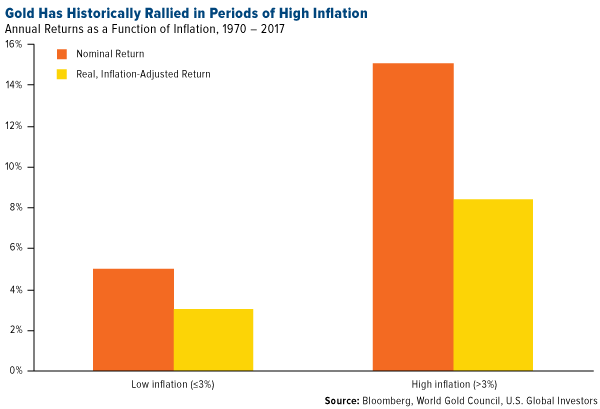 In the years when inflation was 3 percent or higher, annual gold returns were 15 percent on average, according to the World Gold Council (WGC).